Sunlight allows us to make vitamin D, credited with healthier living, but a surprise research finding could reveal another powerful benefit of getting some sun. Georgetown University Medical Center researchers have found that sunlight, through a mechanism separate than vitamin D production, energizes T cells that play a central role in human immunity. Their findings, published today in Scientific Reports, suggest how the skin, the body's largest organ, stays alert to the many microbes that can nest there. "We all know sunlight provides vitamin D, which is suggested to have an impact on immunity, among other things. But what we found is a completely separate role of sunlight on immunity," says the study's senior investigator, Gerard Ahern, PhD, associate professor in the Georgetown's Department of Pharmacology and Physiology. "Some of the roles attributed to vitamin D on immunity may be due to this new mechanism." They specifically found that low levels of blue light, found in sun rays, makes T cells move faster—marking the first reported human cell responding to sunlight by speeding its pace. "T cells, whether they are helper or killer, need to move to do their work, which is to get to the site of an infection and orchestrate a response," Ahern says. "This study shows that sunlight directly activates key immune cells by increasing their movement." 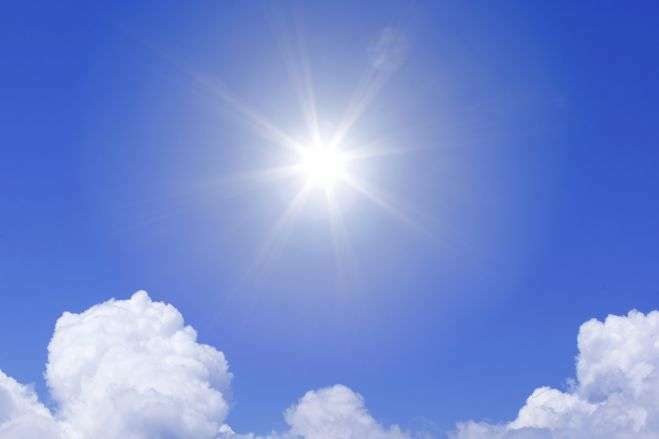 Ahern also added that while production of vitamin D required UV light, which can promote skin cancer and melanoma, blue light from the sun, as well as from special lamps, is safer. And while the human and T cells they studied in the laboratory were not specifically skin T cells—they were isolated from mouse cell culture and from human blood—the skin has a large share of T cells in humans, he says, approximately twice the number circulating in the blood. "We know that blue light can reach the dermis, the second layer of the skin, and that those T cells can move throughout the body," he says. What drove the motility response in T cells was synthesis of hydrogen peroxide, which then activated a signaling pathway that increases T cell movement. Hydrogen peroxide is a compound that white blood cells release when they sense an infection in order to kill bacteria and to "call" T cells and other immune cells to mount an immune response. "We found that sunlight makes hydrogen peroxide in T cells, which makes the cells move. And we know that an immune response also uses hydrogen peroxide to make T cells move to the damage," Ahern says. "This all fits together." Ahern says there is much work to do to understand the impact of these findings, but he suggests that if blue light T cell activation has only beneficial responses, it might make sense to offer patients blue light therapy to boost their immunity.